ZTEC Instruments (http://www.ztecinstruments.com), recently introduced their newest addition to their ZProtocolTMsoftware suite. ZProtocolTM DPD (Digital Pre-Distortion) is a comprehensive digital pre-distortion (DPD) software toolkit for Power Amplifier (PA) characterization and testing. Many of the latest WLAN transceiver chip-sets employ DPD techniques to improve PA linearity. The DPD software toolkit is used to quantify improvements in spectral mask and EVM (Error Vector Magnitude). “A significant amount of pressure is placed on PA designers regarding EVM contribution for 802.11ac devices. By using ZProtocolTM DPD with our RF test sets, designers can validate to their customers true PA performance” says Christopher Ziomek, ZTEC’s president. “The DPD software tool and corresponding example code provides a quick and easy method to evaluate DPD for a PA or transmitter design. 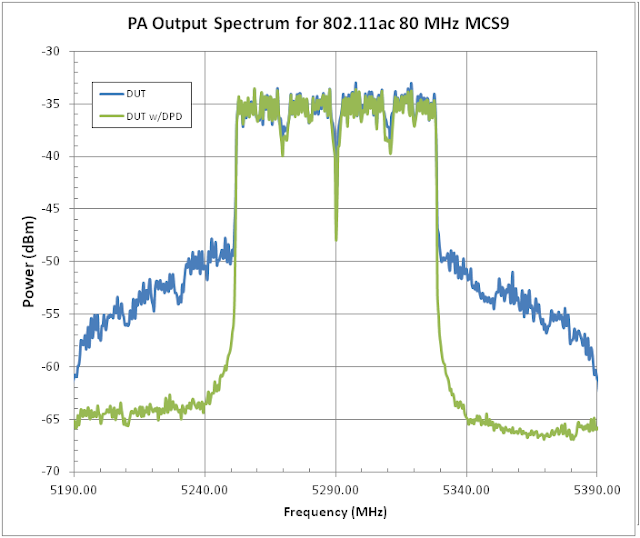 In combination with our 6 GHz vector signal analyzer (ZT8651) and 6 GHz vector signal generator (ZT8751) that have respectively 160 MHz of instantaneous bandwidth and 500 MHz of modulation bandwidth, our customers can characterize and test DPD for 802.11 ac 80 MHz devices” adds Ziomek. ZProtocolTM DPD is used in conjunction with ZProtocolTM WLAN and is available for purchase today.